Fun experiments, slimy creatures and skyline views make for an unforgettable classroom experience. 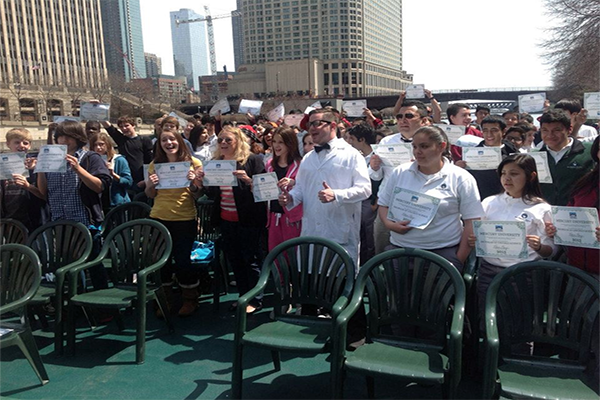 Your class or summer camp group is invited to join Professor Mercury on a 90-minute science adventure as young scientists aboard Mercury's "Science is Fun Cruise", an exciting educational cruise on Chicago's waterways. 1. Which is cleaner - Lake Michigan or the Chicago River? 2. How does a heavy boat float? 3. Does it take a lot of power to make Chicago's bridges move? 4. How can we stop the spread of invasive species? 5. How does a skyscraper stand up to gravity? 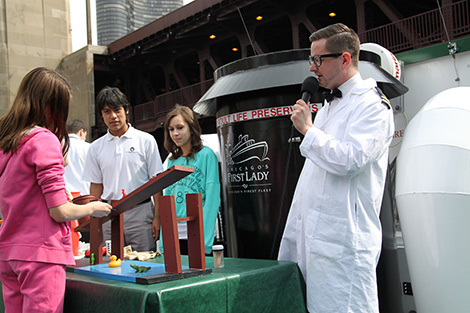 In addition to engaging in interesting science experiments, students will learn about the history of the Chicago River, the importance of the Chicago Lock which regulates the flow of water between Lake Michigan and the Chicago River and other interesting tales of the city. Not to mention the cruise is jam-packed with amazing views of the city that you won't find in just any classroom - an experience your students will not soon forget! Be sure to bring your cameras! Also, inquire about our student and group rates for our daytime Urban Adventure Cruise (river and lake city tour) and our evening Chicago by Night Cruise (river and lake city tour). 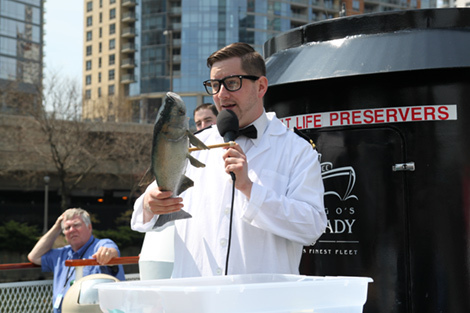 See photos on our Facebook page from our first Science Is Fun Cruise! For more information, a quote or to reserve a Mercury Science is Fun Cruise, email us at grouptours@mercurycruises.com or call 312-332-1368. We look forward to welcoming you aboard! St. Joan of Arc & H.S.G.S. Click the column titles to sort by that feature or find results with the search box.